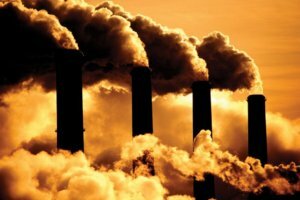 It is planned to build a new incineration plant in Kyiv within the next two or three years, according to the information department of Kyiv City State Administration, with reference to Kyiv mayor Vitali Klitschko. “Rubbish is the problem of not only of Kyiv, it is a problem of the whole country. Now we have one incinerator plant in the capital – Energy. We need a new incineration plant. 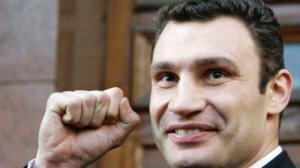 Such a plant should be built within two or three years,” Klitschko said on the air of the Snidanok z 1+1 (Breakfast with 1+1) TV program. According to the mayor, almost 1.2 million tonnes of garbage accumulate in Kyiv every year. He stressed that a strategic decision had already been made to abandon the practice of dumping waste and begin to process it. “We have studied in detail the experience of other countries. The competitive commission is already working, a tender for the construction of an incineration plant has been announced,” he said. According to the mayor, the capacity of the planned plant should be more than 420,000 tonnes of waste per year. Landfill No. 5, which will be closed in future, has approximately the same capacity. “Soon, work will begin on the reconstruction of landfill No. 5. The dams will be strengthened, the capacity of the filtrate processing equipment will be increased. We will strengthen the landfill, install a degassing system and then close it,” Klitschko said. Kyiv Mayor Vitali Klitschko has invited football fans to Kyiv to visit the UEFA Champions League 2018 final to take place in Kyiv on May 26. A video clip where Klitschko jointly with head coach of the national team of Ukraine and UEFA Champions League final ambassador Andriy Shevchenko took part was posted by Klitschko on his Facebook page. “Friends, Kyiv is preparing for a large sports event that will host for the first time – the UEFA Champions League final. We expect that around 100,000 guests would visit our city,” Klitschko wrote. He said that a Ukrainian creative team worked on the video clip. Funds from the Kyiv city budget were not spent on making the clip.